The AMC Basic School Manual is in the process of being updated to reflect most current standard practices in the recreational rock climbing industry. In lieu of the revised manual, the document Basic School Instructional Changes October-2014-Rev-1 is intended to communicate the changes that AMC is adopting for the upcoming AMC Basic Outdoor Rock Climbing School in October, 2014. 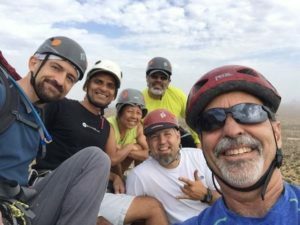 Most significantly, new techniques are being adopted for belaying and rappelling as taught by the AMGA in current Single Pitch Instructor (SPI) training and certification. Additional reference material includes the Falcon Guide titled “Toproping” by Bob Gaines. It is essential that all instructors become familiar and competent with these changes prior to assisting with instruction in the AMC Basic School.